The Courses page displays the current courses for the student(s) you are observing. 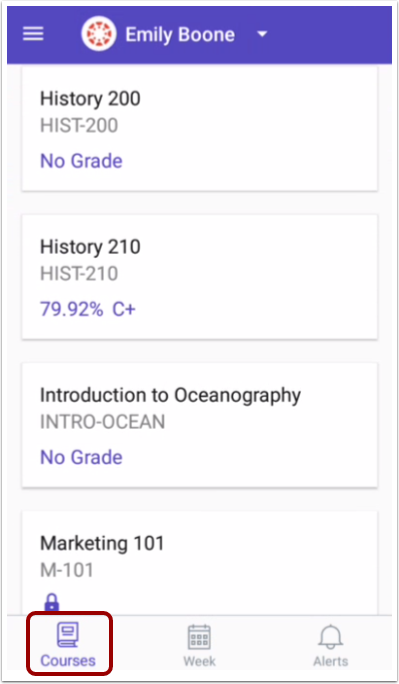 By default, the Parent app displays the courses list for the student you are viewing. 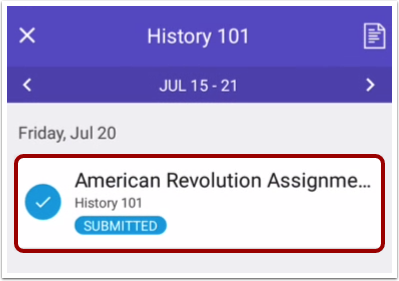 To view course information, tap the name of a course. To view the course syllabus, tap the Syllabus icon. 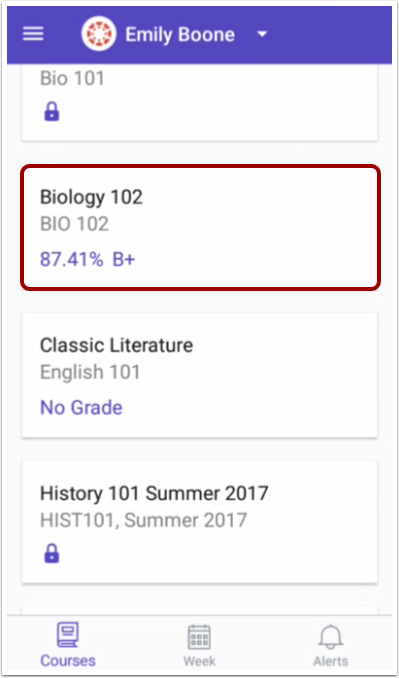 Note: The Syllabus icon will only be visible if the course has a populated Syllabus page in Canvas. By default, assignments and events are shown by week. To view other course assignments or events by week, tap the back or next arrows. Previous Topic:How do I use the Canvas Parent app on my Android device? Next Topic:How do I view the calendar of assignments and events for a student in the Canvas Parent app on my Android device? Table of Contents > Observers > How do I view courses for a student in the Canvas Parent app on my Android device?